This project was originally shared on Eighteen25. This projects was one of those that lived in my head for a long time before it became a reality. 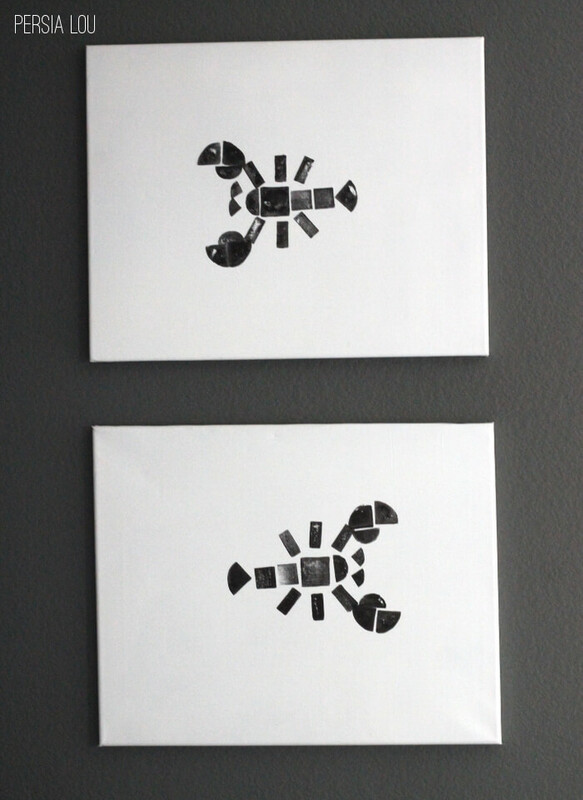 Once up on a time, I ran across this collection of tangram-style images created by Diego Mir. I was crazy about them and immediately started thinking of ways I could create my own version. 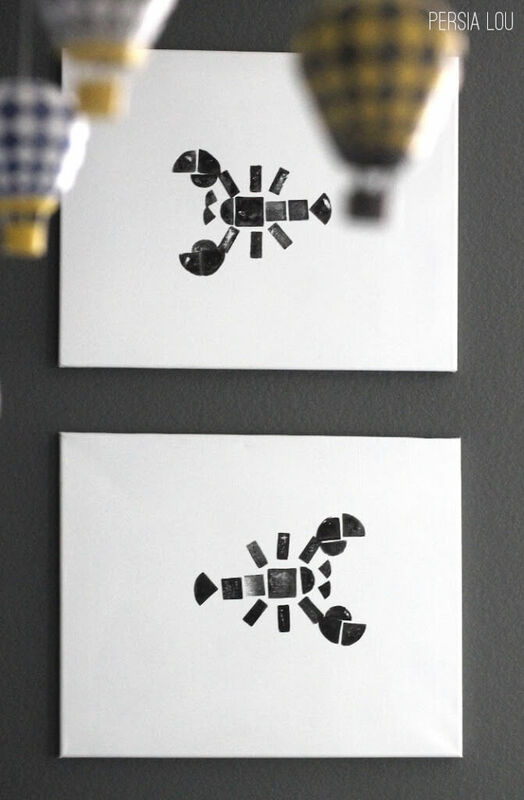 The lobsters were my favorite and I decided they would be perfect in a child’s room – my son’s nursery to be specific. And, I think I was right. This isn’t technically a tangram set, which is a made up of seven pieces (5 triangles, a square, and a parallelogram), but it has a tangram feel to it. I started by cutting squares, triangles, rectangles, circles, semi-circles, and quarter circles in varying sizes out of my foam sheets. 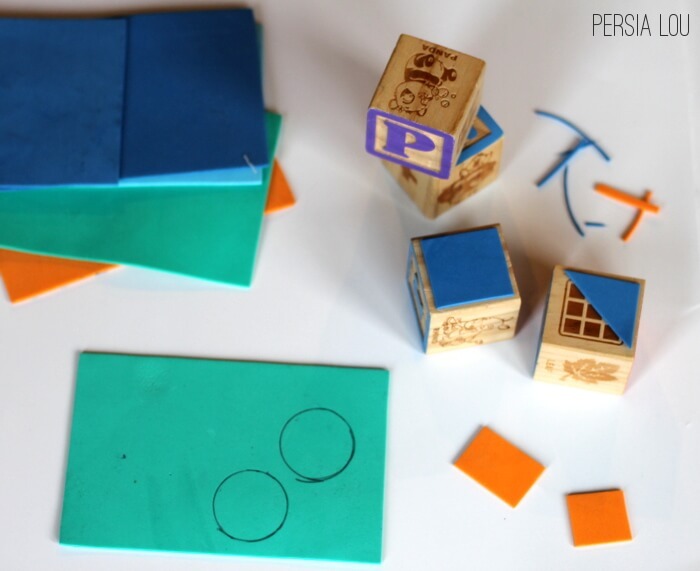 After I cut out the shapes, I glued them onto the wooden blocks with tacky glue. I put two shapes on each block. 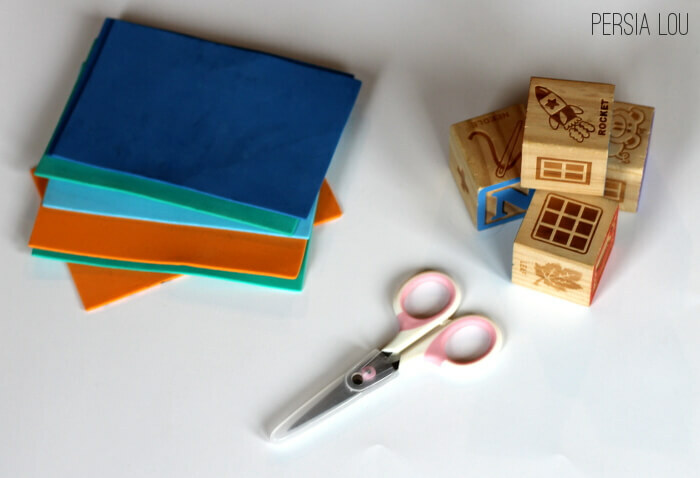 When the glue was dry, I was ready to get stampin! I used black acrylic paint, but an ink pad would work great too. 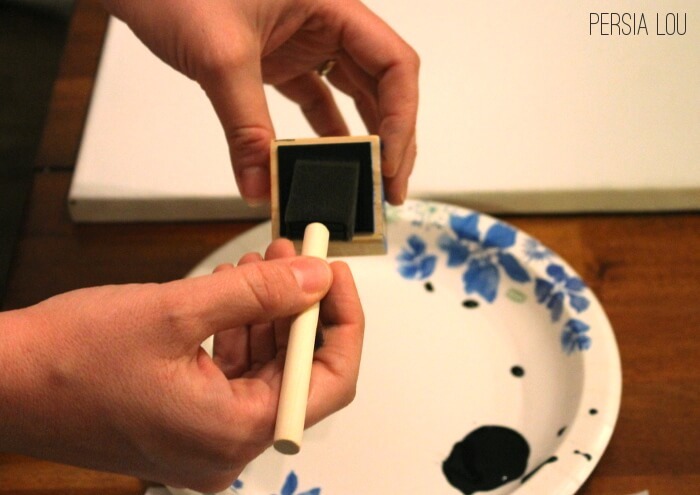 If you are using paint, I would recommend brushing the paint on stamp with a foam brush to avoid getting paint on the stamp backing. Now it’s time to play! 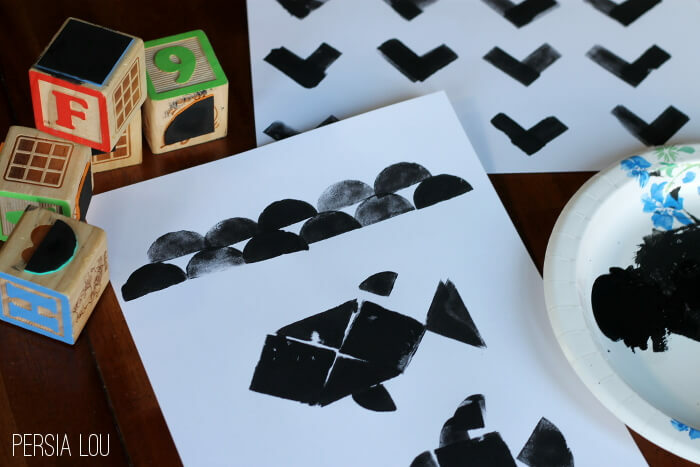 It is really easy to make fun and simple patterns with these stamps, but you can also get creative and create animals, buildings, or vehicles. 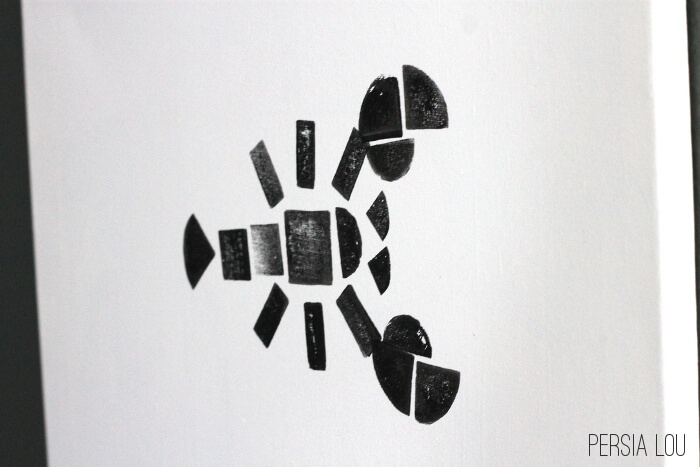 I was set on the lobster idea, so I started off by practicing the design on a piece of paper. When working on a canvas, I needed to put a book beneath the canvas to support the fabric in the middle and get a good, clean stamp. 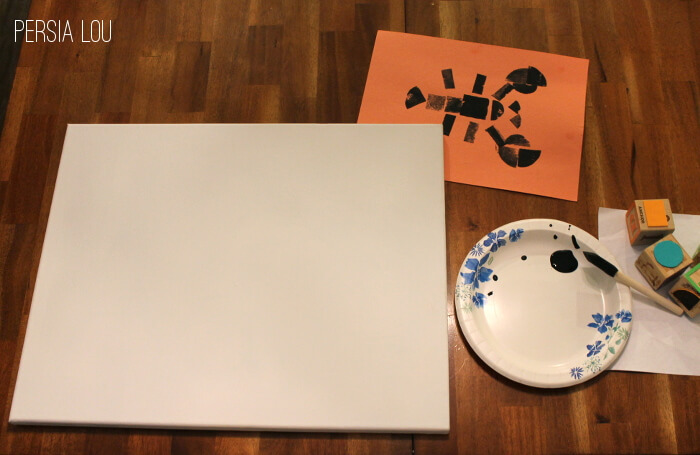 I used my practice image as my guide and stamped a lobster in the middle of each canvas. I didn’t worry too much about trying to get it too perfect. In my opinion, it’s the imperfections and flaws that make these really interesting and beautiful. Aren’t they fun? If you haven’t seen them in the my little guy’s nursery tour yet, I hope you will stop by! I really love how these turned out. 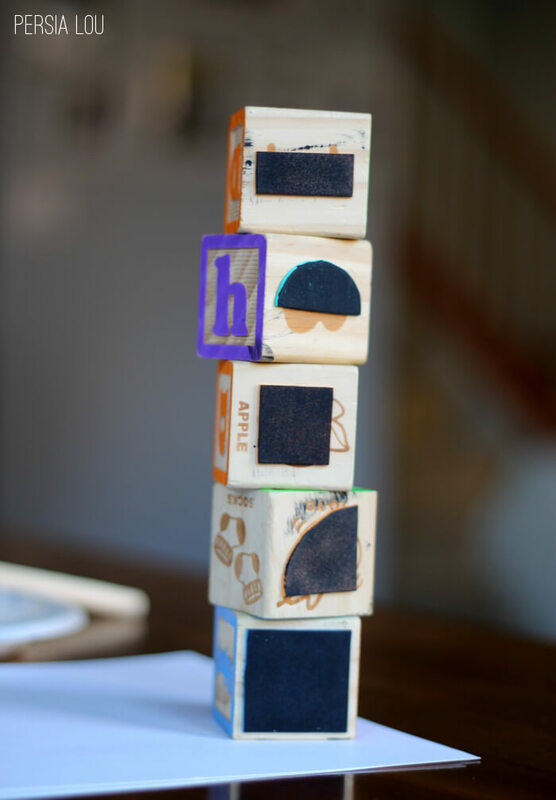 And so clever to attach the stamps to block, creative mama! 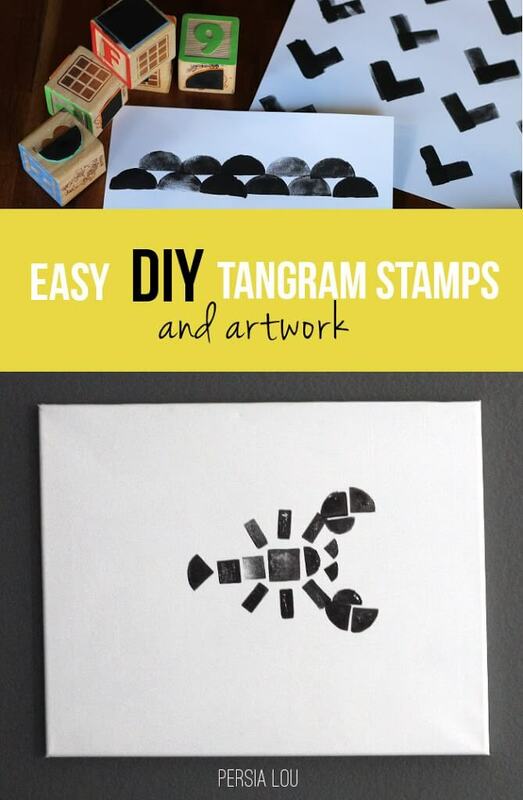 I was a teacher pre-baby but I never thought of using tangrams for art like that…these look like so much fun for the kids to try too. 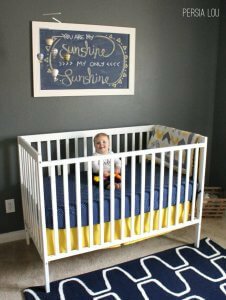 Your son&#39;s nursery is so cute…I just love navy! 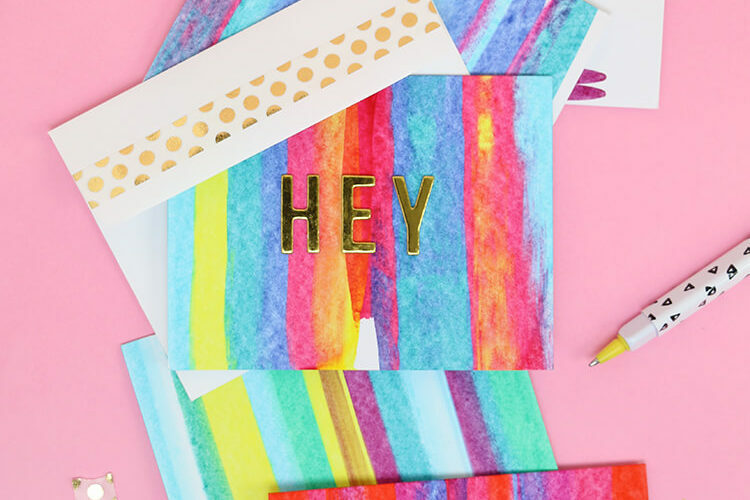 These are perfect in the room… and how cute is your little one? !